George (Jean-Louis Trintignant) and Anne (Emmanuelle Riva) are retired classical piano teachers in their 80’s who have lived a rich and comfortable life in a Paris appartment. After suffering the first of two strokes, Annes health starts to deteriorate and this puts a strain on the couples loving relationship. 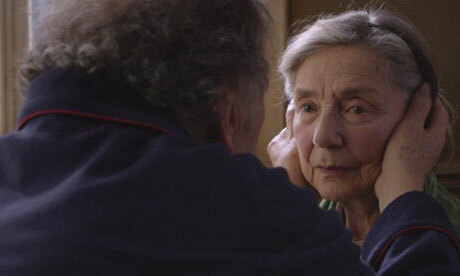 ‘Amour’ (12a) 125 minutes is written and directed by Michael Hanke which has been described by one critic as his simplest and most passionate film yet. It was nominated for 5 Oscars and won the Palm d’Or award at Cannes and an Academy Award in 2012.